Ahed Tamimi, Palestinian teenager famed for slapping an Israeli soldier on camera, should have been shot, at least in the knee, Deputy Knesset Speaker Bezalel Smotrich wrote on Twitter, Saturday. MK Michal Rozin responded angrily to Smotrich’s tweet. “You should be ashamed of yourself,” noting that Israeli Hilltop settlers, who throw stones at Israeli soldiers are not subject to punishment by Israeli authorities. 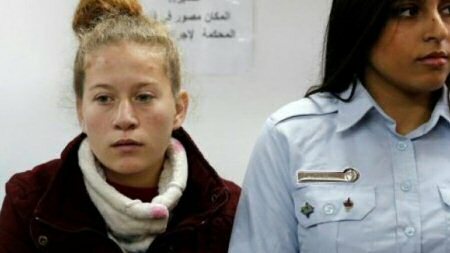 Tamimi slapped the soldier, who stormed her house one day after shooting her cousin causing him lose part of his skull and has been living in permanent disability.